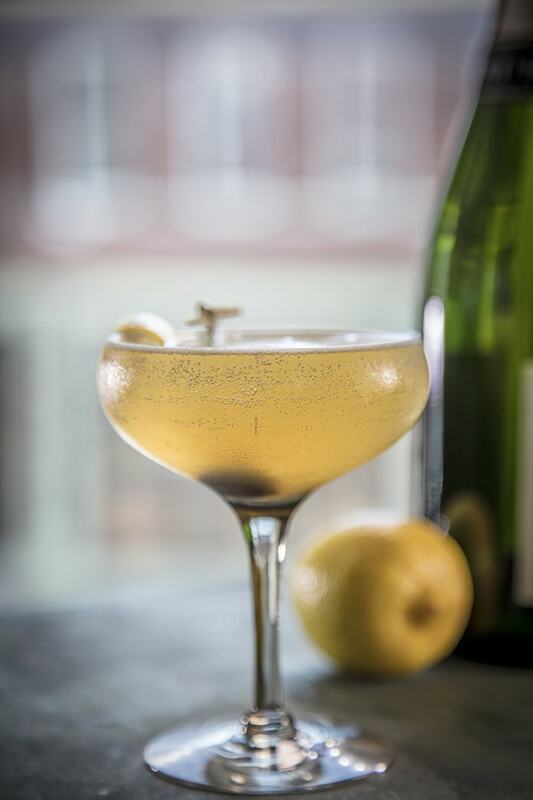 Combine Bourbon, lemon and simple syrup in a shaker tin and shake very lightly. Strain into a wine glass or coupe and top with sparkling wine. Garnish with a lemon peel expressed and set on top of the cocktail.